Joshua D. Boyd | Acurately predicted 20 out of the last 4 Zebra stampedes. I have never used Substance Designer, so I’m basing this off of looking at example files. The SBSPRS files are XML that appear to specify the list and type of parameters used in the SBSAR substance. The Example.xml file appears to describe the inputs of the node, the outputs of the node, gui layout for the node, and presets to choose for the node. The Example.sbsasm file starts with the magic word 5342 414d, which are the ASCII values for SBAM. Beyond that, I haven’t figured anything else out about it. I was hoping that this would be compressed formats, XML, JSON, and/or IFF all the way down. I was planning to nicely document this, but on review, some photos don’t really show what is needed, then I got caught up in finishing it and didn’t take appropriate finishing photos. Oh well, here is what I got. 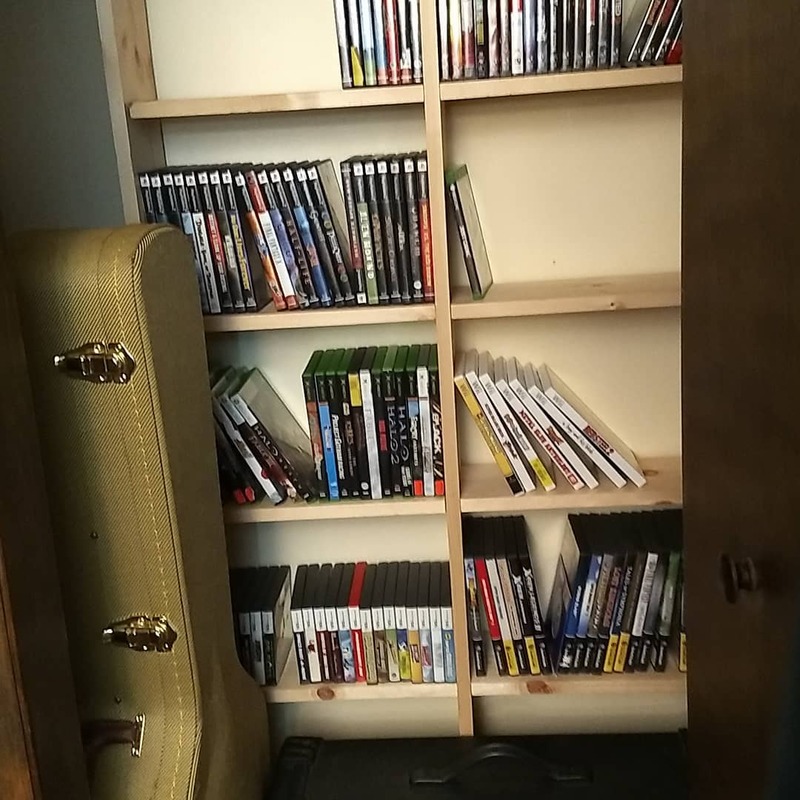 Just built new shelves for games in closet. Turned out I still needed the old shelves. I rather like the K780 keyboard and M720 mouse from Logitech (alas, not sold as combo). Just picked it up a week ago, so I can’t say about longevity yet, but they feel solid. The key shape on the keyboard is odd, but I’m already used to it from a K380 elsewhere. I had 2 wireless keyboards and mice. One of each plugged into my KVM and one of each plugged into my windows PC on a separate monitor. Both of the K780 and M720 support connecting to 3 machines. Those three connections can be via Logitech’s unifying receiver (what you get in all cheap Logitech wireless mice) or bluetooth. Each device came with one receiver, and their software will let you re-pair their devices (unlike other brands of cheap USB wireless, I’m looking at you Anker). 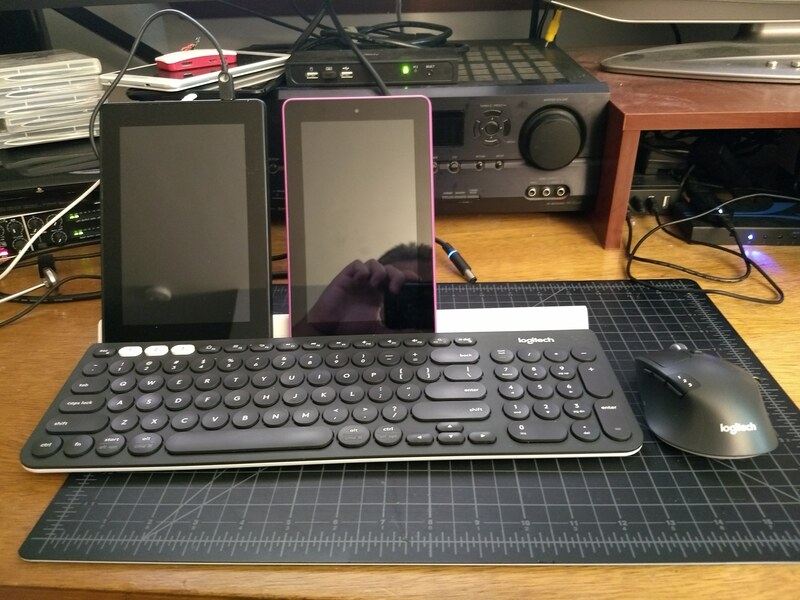 Thus, I stuck one receiver into the KVM, one into the windows PC, and re-paired both devices to talk to both receivers so now I have one keyboard and one mouse and I can easily toggle them between 3 computers (while still having an open slot on both devices for a tablet, Raspberry Pi, or something else). We had a guest today. I think that recipes should replace phrases like medium high heat or simmer with temperatures. I interpret medium high heat to mean about 350-370 degrees Fahrenheit (175-190 C). Likewise, I call a simmer about 200 degrees (about 95 C). For measuring pan tempuratures, I use a point and shoot infrared thermometer like this model on Amazon: https://www.amazon.com/dp/B00DMI632G/. Posted on February 5, 2017 by jdboyd	| Comments Off on Improve recipe heat directions. For several years I’ve kept a WordPress instance running in my basement for storing my recipes. I recently uploaded the data to wordpress.com. I may move to a custom domain, but for now it is on a free WordPress sub-domain. Visit it at: https://boydrecipes.wordpress.com/. When it was in the basement, I didn’t add pictures or worry much about nicely formatting the recipes, sold old entries will likely to revised as I make them again.